Cool! Will look forward to the spoilers. I just ordered the Nec vs Dru expansion set at the Mage Wars store today, so I am ready to go! See Facebook of course.....we even start with a new Trait! Long-time lurker, first time poster. I'm really excited for our upcoming magi and the new spells they're bringing. That said I don't want to see all of them officially spoiled before I get to open my box. One spell a week would suit me fine and whet my appetite without taking away from that Christmas morning feeling I want so much. "But Alt," you say, and then realizing that this is a written medium, type, "Just don't look at the spoilers." And that's a fair point save that the cards pop up on Facebook, and any thread might contain spoilers, and I'm not made of stone. October will be here soon enough. Let's savor the anticipation. Please, if you're set on releasing info on most of the cards hold the casters more dear and let us be surprised. I can take anything and make it fun. It's true; I made a paper airplane out of your spreadsheet. Oh wow. That's going on Wizard's Tower for sure. If not as a water Mage then at least splashed in Earth Mage. That's a real help against Iron Golem, too. Starting off with a bang! And great art! Corrode wears away armor. For each Corrode condition marker on an object, it receives Armor -1. Objects can never have Corrode markers on them which would reduce their armor to below zero. Extra markers are destroyed. If an object with zero armor would gain a Corrode condition marker, each marker it would receive instead becomes one point of direct acid damage. Incorporeal objects are immune to Corrode. Example: A Timber Wolf is enchanted with Rhino Hide, and has three Corrode markers. If his Rhino Hide is dispelled he would lose one of the Corrode Markers. Tisn't a major, but it feels that the MW info is split across three sites, here - which feels like it should be the default platform, BGG, and increasingly Facebook. It's coming on the website here. The future articles should have a more even distribution. There are many more previews planned, and I'm excited for them. Is effect from corrosive added before or after damage is applied? Do the timberwolf take 0 or 2 damage? Guess corrode is applied after damage as per the rulebook: in step 4 you are told to apply damage first and then the effect die. There should be an article today that covers that, but you apply the damage from an attack, then any effect. I'm all for the new spoilers! Especially if there is any new traits, so we can make sure we discuss/understand them before they go live so can get in and play right away. I can just not look if I don't want to see them. Maybe even a summary of any new traits/conditions would be cool to see. Corrode being on that list.  I think as the previews are written you'll start to see all of the new abilities and fresh keywords for this set. It's pretty exciting, in fact we should have a preview that will reveal two new keywords on Wednesday. This is an exciting time to play Mage Wars!